Los Zetas represent a new generation of ruthless, sadistic pragmatists in Mexico and Central America who are impelling a tectonic shift among drug trafficking organizations in the Americas. Mexico's marines have taken down the cartel's top leaders; nevertheless, these capos and their desperados have forever altered how criminal business is conducted in the Western Hemisphere. This narrative brings an unprecedented level of detail in describing how Los Zetas became Mexico's most diabolical criminal organization before suffering severe losses. 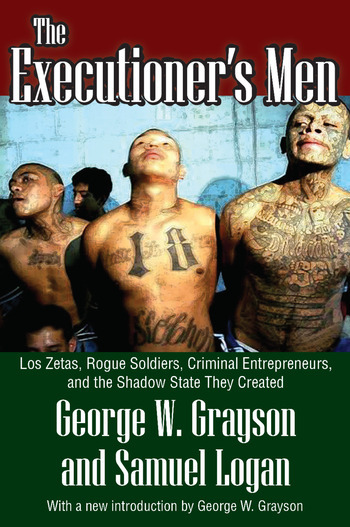 In their heyday, Los Zetas controlled networks of American police, politicians, judges, and businessmen. The Mexican government is losing its "war on drugs," despite the military, technical, and intelligence resources provided by its northern neighbor. Subcontracted street gangs operate in hundreds of US cities, purchasing weapons, delivering product, executing targeted foes, and bribing the US Border Patrol. Despite crippling losses Los Zetas still dominate Nuevo Laredo, the major portal for legal and illegal bilateral commerce. They also work hand-in-glove with the underworld in Guatemala, El Salvador, and Honduras, as well as with gangs like the Maras Salvatruchas.